During the course, participants will create their own financial model to take away and use for future reference. You will learn how to design and create a user-friendly model which can then be used by anyone with limited knowledge of Excel. Students are expected to be reasonably regular Excel users, and should be comfortable with simple formulas and linking between workbooks. If you prefer to be invoiced and have your accounts department make the payment please use this form. Can’t make it to a workshop? Enrol in the online version of the Financial Modelling course, and start straight away! Complete the course at your own pace. Buy all three courses at once and save, PLUS you’ll get a hard copy of Using Excel for Business Analysis included as well as Financial Modeling in Excel for Dummies! 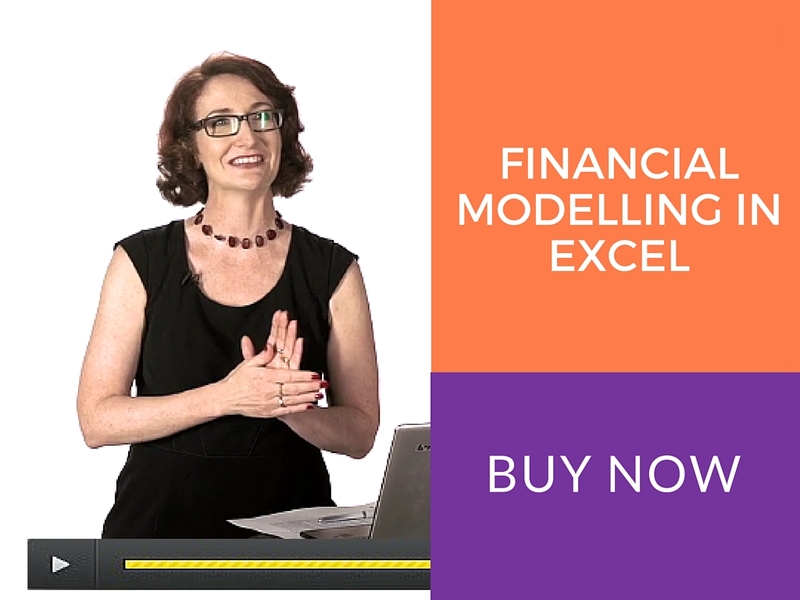 Or, get the online Intro course included if you sign up for the Financial Modelling Workshop bundle. What does the course content look like? If you’d like to see a 5 minute preview of one of the videos, take a look at the Skills Needed for Financial Modelling section. Each of the six modules in this course contains downloadable PDF course notes of between 15 and 30 pages long which contain extracts from Using Excel for Business Analysis, and step by step instructions. What Makes a Good Financial Model? What’s new in Excel 2019/Excel 365, and what’s the difference? Keep up to date with the latest in Financial Modelling.